Marble Trend is the largest distributor of natural stone and engineered materials, exclusive in Canada to major brands including NEOLITH Sintered Compact Surfaces, Dry-Treat Deep Impregnating Sealers and Cleaning products, and many more. NEOLITH is a breakthrough. high-tech. ultra-compact slab that offers the ultimate combination of functionality and beauty. 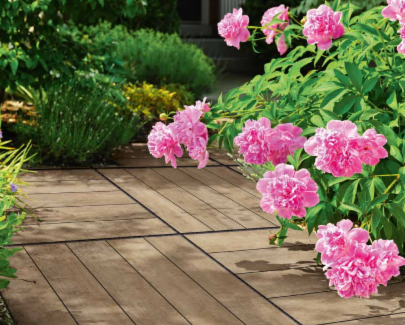 It is scratch and stain proof, heat and fire resistant and can withstand extreme climate conditions. NEOLITH’s resistance to high temperatures and UV rays will ensure the material to not deteriorate under exposure to the sun and extreme temperatures. Its resistance to water absorption and chemical cleaning agents also ensure exposure to pool water and chlorine will not affect the integrity of the material. 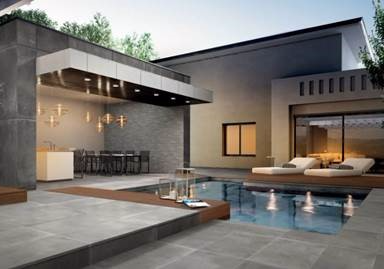 This line of porcelain pavers broadens outdoor planning potential as it perfectly combines aesthetic appeal with high technological content for a resistant solution that is durable over time. Featuring rectified slabs in full-body coloured porcelain stoneware, HIthick creates wide pathways for safe exteriors that are easy to maintain. 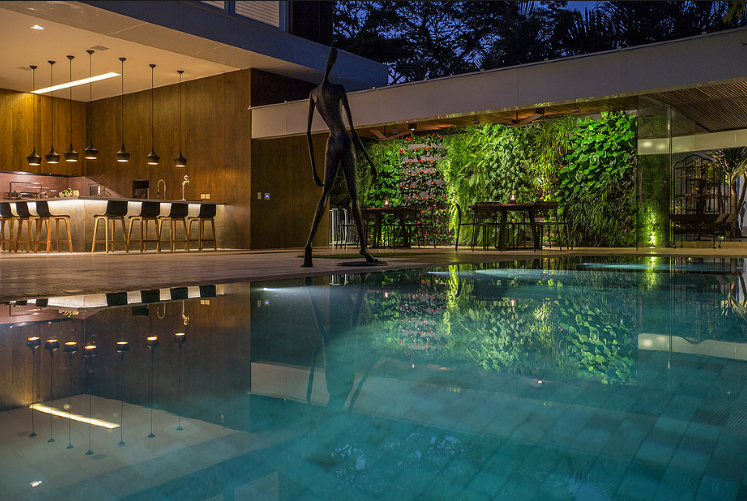 Perfect for public outdoor spaces in residential and commercial venues. 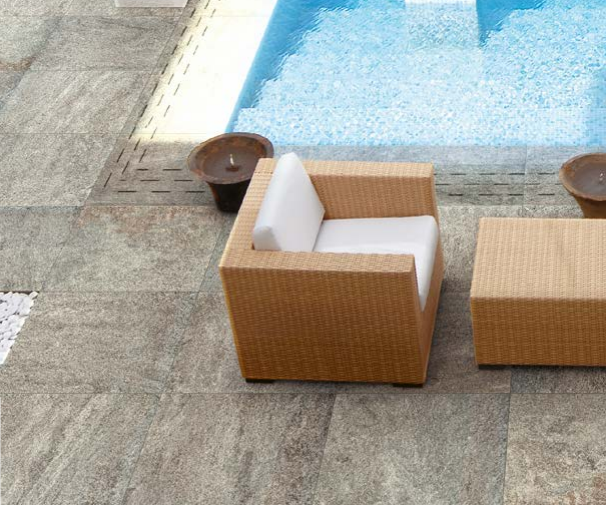 The beauty of this new line of porcelain pavers lies its excellent load resistance, its resistance to various chemical agents and weather conditions. The FP-2 system is perfect for outdoor and indoor pool areas with features including hard-wearing, frost-resistant, slip-resistant and unaffected by mold. Porcelain stoneware technology at the service of an exceptionally hard-wearing product, able to guarantee safe, easy to walk on surfaces both indoor and outdoor. TH-2 is reliable for its resistance to breaking load, thermal shock, sunlight, mould and moss. This non-slip, frost resistant, fire resistant, impermeable and inalterable surface is perfect for pool application. Dry-Treat™ is a world class sealing and cleaning solution provider and is the only deep impregnating sealer available on the market. Oxy-Klenza™ is a powerful oxygen-based, chlorine free cleaner for inside / outside, and residential / commercial applications. It is a multi-purpose cleaner that breaks down organic stains and soiling. 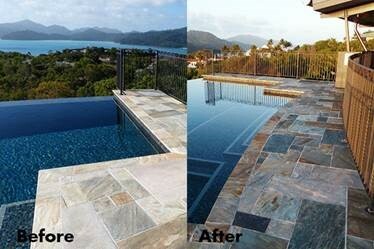 Oxy-Klenza is ideal for cleaning patios, decks, floors, building facades, swimming pools and more. It also disinfects and breaks down odors. Oxy-Klenza is biodegradable decomposing into oxygen, water and natural salts. Call your Marble Trend sales representative to hear more about these lines and other lines we carry as we head into spring and summer.